Home Family Law How Can I Be Found in Contempt of Court? In Florida Does a Marriage Have to Be Consummated for It to Be Legally Valid? What Happens If A Parent Does Not Pay Court Ordered Child Support? Can I Adopt My Step Child? In A Divorce Case, Can I Pay My Attorney with Money That I Hope to Receive in The Divorce Settlement? 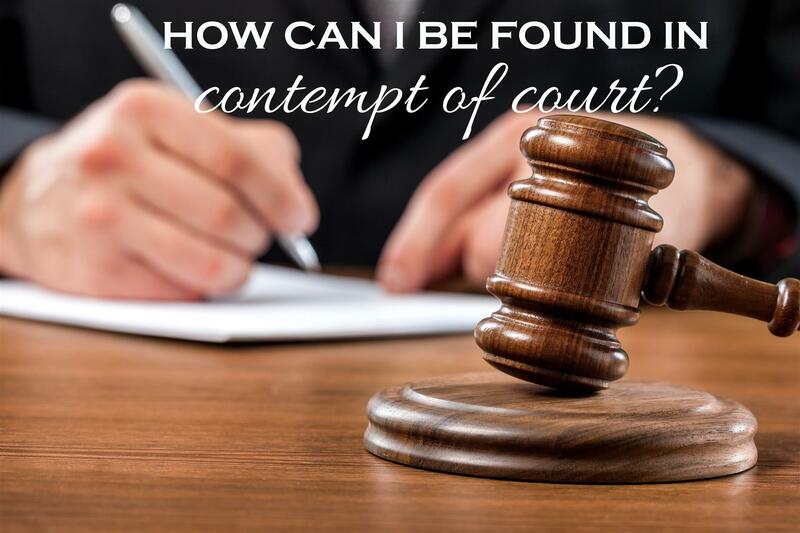 How Can I Be Found in Contempt of Court? In family law, civil contempt is one way a court enforces alimony, child support, custody, and visitation orders that have been violated. Contempt of court refers generally to anyone who willful disobeys or disregards, a court order or any misconduct in the presence of a court. This also includes any action that hinders a judge’s capability to administer justice or that insults the self-respect of the court. Contempt of court is punishable by fine or imprisonment or both.